It’s the happiest time of the year, and now you can spend part of it with this tribute to ABBA the Swedish pop song artisans responsible for some of the sweetest ear candy ever crafted. From “Dancing Queen,” “Waterloo,” “SOS” and “Take a Chance on Me” to “Voulez-Vous,” “Super Trouper,” “Gimme! Gimme! Gimme! (A Man After Midnight)” and many more not to mention a seasonal sprinkling of Christmas music to celebrate the holidays. This concert promises to be exactly the kind of feel-good experience that pairs perfectly with this time of year. Enjoy An ABBA-Solutely Christmas Show, featuring nationally touring ABBA tribute, The ABBA Show. 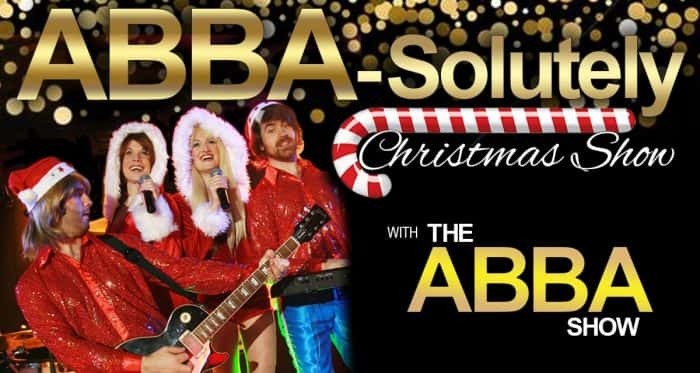 A few tickets are still available for the “ABBA-Solutely Christmas Show” at the Lincoln Theater in Yountville on Saturday, December 22nd at 7:30pm.